In a low profile clash at the Santiago Bernabeu, the defending champions Real Madrid took on CSKA Moscow. Real Madrid had already secured a spot in the Round of 16 with a victory against Roma away from home, while CSKA were out of contention and were hoping to salvage some pride with a victory against Los Blancos away from home. In the first leg in Moscow, Madrid suffered a shocking 1-0 defeat under Lopetegui but they were still the firm favourites to win the encounter. 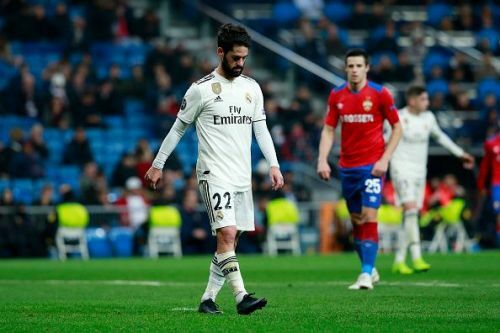 Solari decided to give rest for his regular centre-backs Sergio Ramos and Raphael Varane while the Ballon d'Or winner Luka Modric and Toni Kroos were benched. 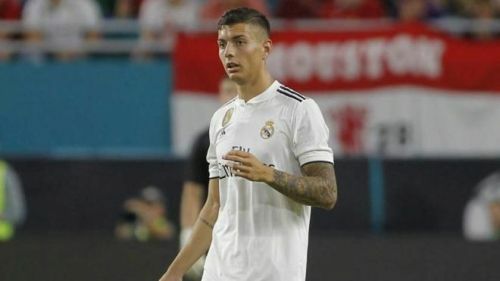 Real Madrid went in with a 4-2-3-1 formation, with Karim Benzema as the striker and Asensio, Isco, Vinicius as attacking midfielders, while the young central defenders Javi Sanchez and Jesus Vallejo got an opportunity to impress the Bernabeu faithful. Marcelo returned to the squad after being rested against Eibar and Odriozola continued in the right back position. Llorente and Valverde were given the job of screening the defence while Courtois was once again preferred over Keylor Navas. The Vikings started the match in a very impressive manner as they ruthlessly attacked with Vinicius and Asensio wreaking havoc using their pace and skill. Asensio hit the woodwork once while Vinicius kept cutting in from the left flank and created a lot of opportunities for his side. But Madrid failed to convert the chances and paid a hefty price for it as Chalov stunned the home crowd with a solid strike into the nets just inside the penalty box. Real Madrid’s misery continued in the second half as Shchennikov and Sigurðsson scored a goal apiece and Real Madrid suffered a humiliating 3-0 defeat. Here are the 3 reasons why Real Madrid lost to CSKA Moscow. While it is impossible to replace Ramos and Varane, Real Madrid fans would have hoped Vallejo and Sanchez would perform decently against a CSKA Moscow side which emphasises on solid defence rather than attacking flair. But both the young defenders had a forgettable outing, as CSKA forwards crept into the box with ease and scored 3 goals. The first goal was a classic case of lazy defending as Llorente and Valverde were caught out of position and this created a lot of empty space. Madrid tried to win back the ball but that left Chalov unmarked and he punished Madrid by opening the scoring. The third goal was once again a result of inexperience as six Real Madrid players pressed to win back the ball inside the penalty box and this resulted in an empty goalpost with only Courtois to beat. Sigurðsson was left unmarked inside the penalty box and he made no mistake by depositing the ball into the left corner.